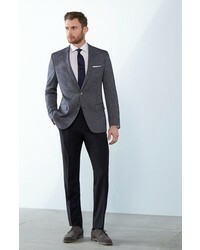 Try teaming a grey knit wool blazer with grey wool dress pants for a sharp, fashionable look. 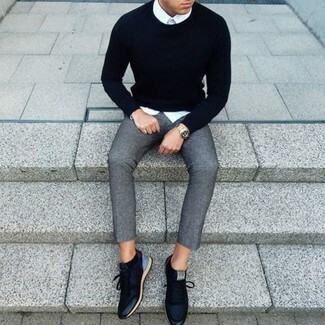 Pair a black crew-neck sweater with BOSS genesis flat front wool trousers for a sharp classy look. 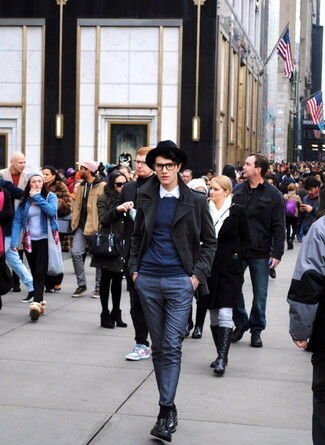 For something more on the daring side to complete this look, make black leather low top sneakers your footwear choice. 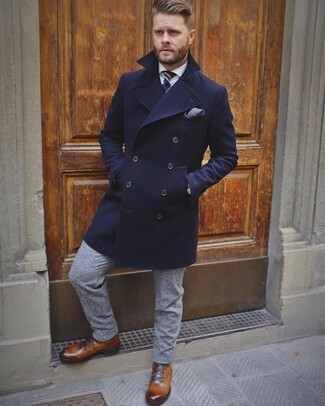 Try pairing a navy overcoat with BOSS genesis flat front wool trousers to ooze class and sophistication. 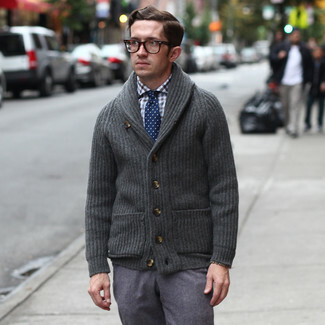 For something more on the daring side to complete this look, choose a pair of brown leather casual boots. 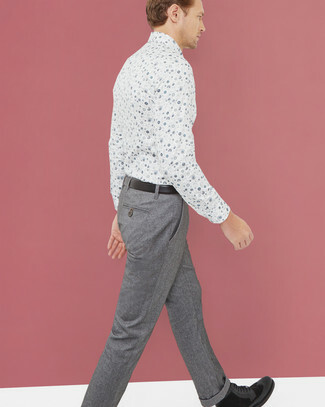 Wear a white floral dress shirt with grey wool dress pants for a sharp, fashionable look. 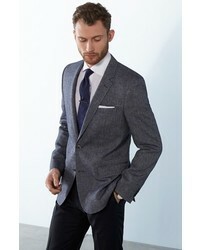 For something more on the daring side to complete this outfit, throw in a pair of black suede casual boots. 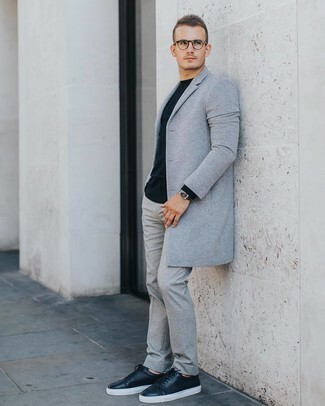 For a nothing less than incredibly stylish outfit, try pairing a navy wool bomber jacket with BOSS genesis flat front wool trousers from Nordstrom. 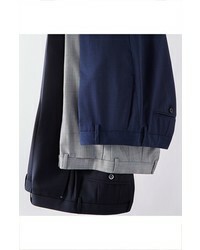 A pair of black leather tassel loafers will integrate smoothly within a variety of outfits. 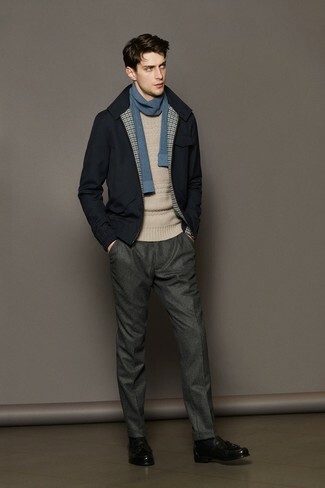 For a nothing less than incredibly stylish outfit, dress in a charcoal pea coat and grey wool dress pants. Want to go easy on the shoe front? Make black leather derby shoes your footwear choice for the day. 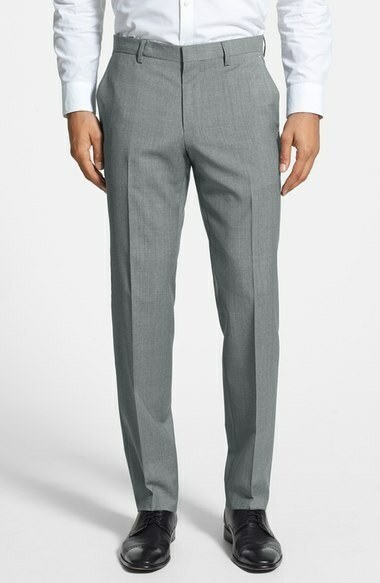 Dress in a grey overcoat and BOSS grey wool dress pants and you'll be the picture of refined men's fashion. Finishing off with black leather low top sneakers is an effortless way to infuse a more relaxed aesthetic into your look. For a nothing less than incredibly stylish getup, pair a charcoal shawl cardigan with BOSS genesis flat front wool trousers. 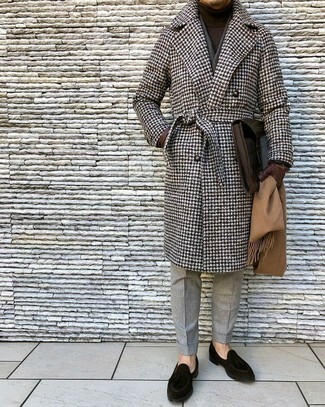 Go for a brown houndstooth overcoat and BOSS genesis flat front wool trousers for a classic and refined silhouette. For something more on the daring side to complement this look, rock a pair of black suede loafers.